At age 20 Marie Zakrzewska enrolled in midwifery studies at the Royal Charite hospital in Berlin. 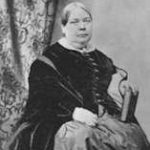 Opportunities for women were scarce, but thanks to the support of Joseph Hermann Schmidt, professor of obstetrics and the director of the school of midwifery, Marie was promoted to head midwife in 1852, but she was resented by the male doctors there. Zakrzewska immigrated to the United States in 1853 at the age of 24 to study medicine. For the first year, she supported herself by working as a home contract worker in knitting. Then she met Dr. Elizabeth Blackwell, the first woman to obtain a medical degree (Doctor of Medicine) in the US. Dr. Blackwell helped Zakrzewska gain admittance to Cleveland Medical College (now Case Western Reserve University School of Medicine), from which her sister Dr. Emily Blackwell had graduated. Zakrzewska was one of only six women admitted to the school during the 1850s. After completing a two-year course, Zakrzewska graduated in 1856, becoming one of the first women in America to obtain a medical degree. Like others in this first generation of women doctors, she struggled to find work. The Drs. Blackwell were planning to open a small hospital to care for women and children that would also provide opportunities for women physicians to work and train. Dr. Zakrzewska joined the Blackwells in New York City, where she became known as Dr. Zak because no one could pronounce her name properly. Zakrzewska traveled to Philadelphia and Boston seeking funds for the project, and proved to be adept at fund-raising. In On May 12, 1857 the three women established the New York Infirmary for Women and Children, the first hospital staffed by women in the United States. There Dr. Zak served as resident physician and manager for two years without pay, specializing in obstetrics and gynecology. Dr. Zak’s contacts in Boston led to an appointment in 1859 as Professor of Obstetrics at the New England Female Medical College, founded in 1848 as the first medical college for women in the world. Her attempts to change the College from a midwife training school to a mainstream medical school with practical clinical training were opposed by the owner and trustees. 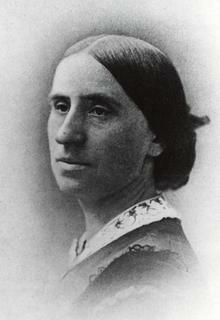 Dr. Zak resigned from the College and began working to establish a teaching hospital for women. 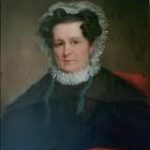 In 1862 she founded the New England Hospital for Women and Children (now Dimock Community Health Center), the first hospital in Boston, and the second hospital in America, run by women physicians and surgeons. It was the only hospital in New England to provide obstetrics, gynecology and pediatrics, as well as medical and surgical wards, in the same institution. The hospital flourished under her direction, providing clinical experience for women physicians. Dr. Zakrzewska knew that the opportunity to work with large numbers of patients was vital if women doctors were to achieve the same standards of practice as male doctors. The hospital became a primary training hospital for several generations of women physicians. Dr. Zakrzewska’s expertise in science and sanitary conditions made the hospital a leader in preventing contagious fevers, and reducing deaths from childbed fever. In fact its competitor, the Boston Lying-In Hospital closed from 1856 to 1872 because of its inability to contain this disease. It started out as a ten-bed hospital, but grew quickly. She was also a founding member of the New England Woman’s Club (1868), one of the two original study clubs that would serve as models for the twentieth-century woman’s club movement. In 1872, New England Hospital moved to its present site near Columbus Avenue and continued its expansion. 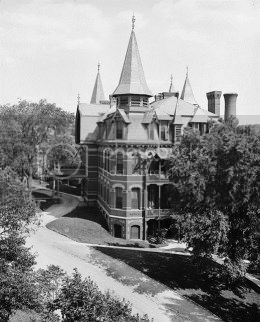 Through the years, the Hospital prospered, and by 1932 the complex consisted of today’s eight buildings, a picturesque collection of Victorian Gothic, Stick Style and Classical Revival architecture. By 1881, Dr. Zak’s school was so renowned that she could limit her resident students to those women who already had their MD degrees. African American Dr. Caroline Still Anderson was invited to serve her internship at the Hospital, and the nursing school opened the profession to black women with the first black nurse in America graduating in 1879. 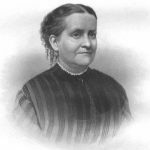 Dr. Zakrzewska moved to the historic Boston neighborhood of Jamaica Plain in 1890, and her Peter Parley Road home became a center of medical discussion, as well as feminist and abolitionist sentiments. 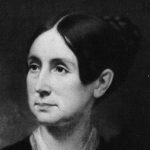 William Lloyd Garrison, Wendell Phillips and Karl Heinzen became her close friends. When Dr. Zakrzewska retired in 1899, the Hospital continued its mission. Throughout her 36-year career of teaching and healing, she broke down the barriers that hindered women from practicing medicine in the United States. With her high standards of medical training, she helped educate thousands of doctors and nurses, and contributed greatly to the eventual acceptance of female physicians. Dr. Marie Zakrzewska died at her Jamaica Plain home on May 12, 1902, three years after her retirement from the hospital she loved. The graceful buildings remain, but more importantly, so does the legacy of forty years of women she trained to become leaders in American medicine.